Dr. K Uerpairojkit is affiliated to Medicine, Chulalongkorn University, where Dr. K Uerpairojkit is currently working as Professor. Dr. K Uerpairojkit has authored and co-authored several national and international publications and also working as a reviewer for reputed professional journals. Dr. K Uerpairojkit is having an active association with different societies and academies around the world. Dr. K Uerpairojkit made his mark in the scientific community with the contributions and widely recognition from honourable subject experts around the world. Dr. K Uerpairojkit has received several awards for the contributions to the scientific community. 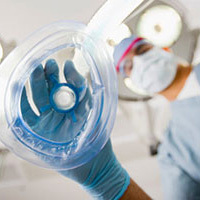 Dr. K Uerpairojkit major research interest involves Anesthesiology. Neonatal effects after vasopressor during spinal anesthesia for cesarean section: a multicenter, randomized controlled trial.